Lions are amazing animals that have become iconic symbols of the African plain. Through movies like The Lion King, children have learned that lions are looked up to with great pride by other animals. Lions are often one of the first animals a child will learn about. Of all the big cats, lions are the ones most often associated with a roar. A roar that can be heard up to 3 miles away. These majestic cats are not listed as endangered by the IUCN, but as vulnerable - only in West and Central Africa are they classified as endangered. This status will not last long at the rate humans are killing lions. Lions have vanished from over 80% of their historic range. The lion population is listed as decreasing and on more than one occasion, lions have been labeled on the brink of extinction. 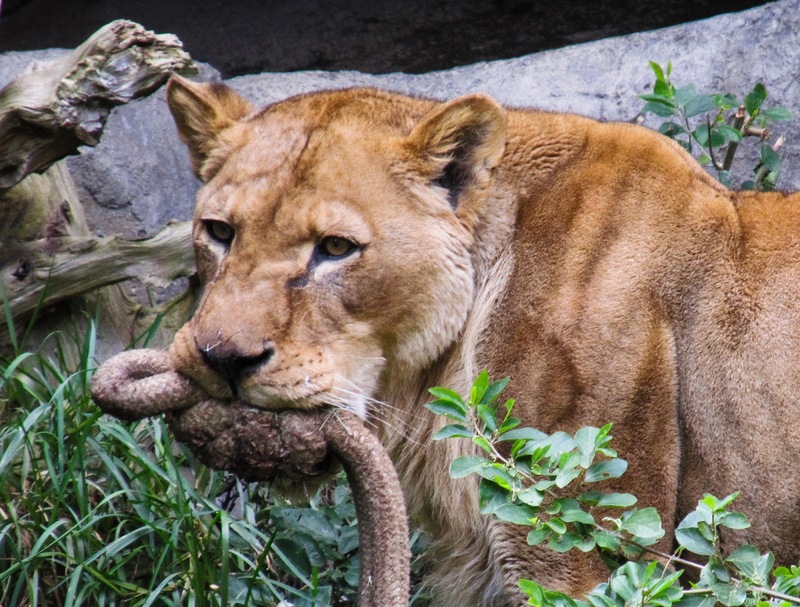 Aside from the fact that humans are overhunting the lion's wild prey and destroying their natural habitat, humans are also illegally killing lions for trophies to hang on their walls. As horrible as this sounds, it is true. Dr. Guy Balme, Panthera's Lion Program Director said, "Lions have slipped under the conservation radar for too long. If we do not act now, lions will find themselves in the same dire predicament as their Asian counterpart, the tiger." 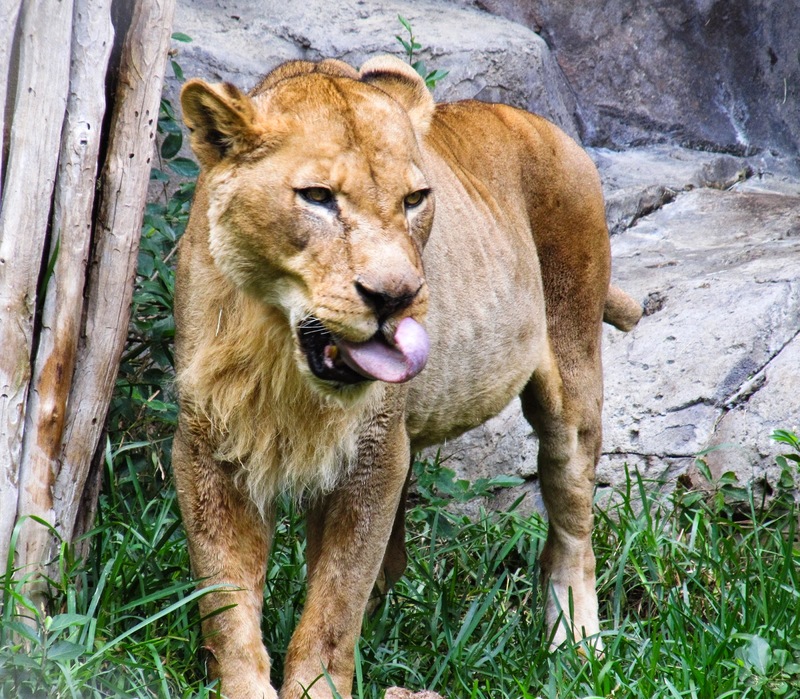 African lions live about 10-15 years in the wild and have been known to live up to 30 years in zoos. However, the average lifespan in captivity is 20 years. 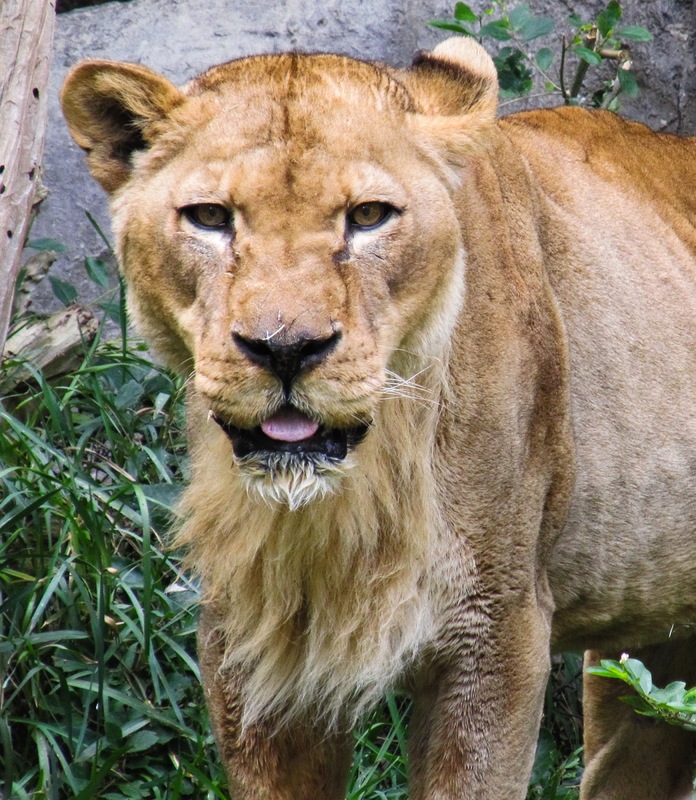 The lioness pictured above is Tango. Tango was a Transvaal lion who was born at the San Diego Zoo on August 12, 1992. She and her sister Mweezi lived at the Safari Park for a while, where Tango gave birth to a litter of 3 cubs in 1995. Shortly after giving birth, Tango and her sister came back to the zoo where they both lived out the remainder of their lives. Mweezi passed away in 2009 and Tango left us January 20, 2013 ... she was 20 years old. Although Tango was born and raised in captivity, she never let anyone forget that she was a wild African lion at heart ... Her roars could be heard on a daily basis. Lions are social animals and it was obvious that Tango missed her sister. Make your voice heard and Cause an Uproar with National Geographic's Big Cat Initiative or join the fight with Panthera on Project Leonardo. Whatever you do, however you chose to create awareness for these magnificent big cats, just remember that you can make a difference. Lions deserve to roam the African plains without the fear of being killed by man. Africa is their home and we should respect that.